The Unseen Beauty of Trees » Got Stump - Tree Services in the Edmonton, St. Albert, Sherwood Park, Beaumont, Devon, Leduc, Spruce Grove, and Stony Plain area. 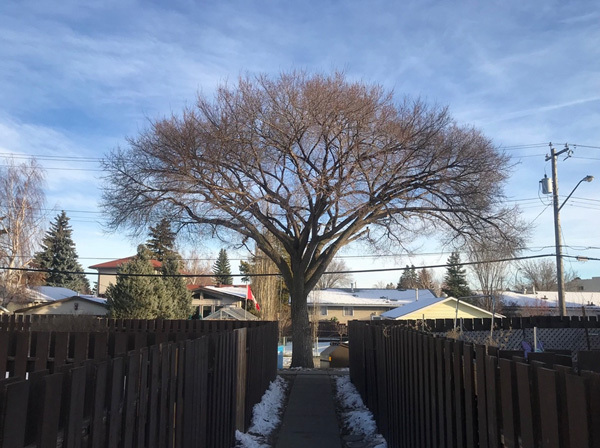 Before Got Stump Inc. provided tree removal and tree pruning services, the company was a one-man show, providing stump grinding services to Edmonton and Area. I learned the ins and outs of the stump business, and a result, couldn’t go anywhere without noticing stumps and thinking about how I’d go about removing them. Over the years I’ve assembled a team of tree ninjas to work alongside me. We’ve worked hard at perfecting our system, and have added services along the way so that we can take care of all your tree problems – not just the stumps! Now I rarely do stump removal myself. I leave that to my team (but they do let me bust out my grinder when they need help with a stubborn stump – it still feels good to show a stump who’s boss). This has allowed me to spend more of my time performing estimates for tree trimming and removal. Seeing what our tree pruning experts can do with our Alberta trees never ceases to amaze me. Now, much like stump grinding showed me how stumps are everywhere, seeing a good tree trimming job is, to me, a jaw dropper. Last year, a condo set us loose on their property: we removed all the hazard trees, got rid of all the sucker trees that would destroy fences over time, and trimmed their valuable mature trees to all the glory they deserve. There’s one moment from that job that has stuck with me. I came up some stairs, turned the corner, and there it was: the most perfectly trimmed elm tree, a textbook wine-glass shape, backlit by the setting sun like it was waiting for its closeup. It was a beautiful tree. I’d guess it was a good 50 years old. I was a bit stunned by it, so I messaged to the crews and asked who pruned the tree. It was Julia, an employee that has been trimming elm trees for around 15 years. She had used our specialized spider lift to do the work. The skill in combination with the lift? Today, I drive around Edmonton and the surrounding area daily. I see so many trees that have never been touched. I believe that most people have no idea just how much better a correctly trimmed tree can look. I’ve said it a million times: tree trimming is like getting a haircut. You need to have it done regularly and professionally (we’ve all had that friend who tried to cut their hair themselves...and we all still laugh at the photos), and not at some place with a name like “Low-Kost Kutz.” Let’s just say that with hair and with tree trimming, you get what you pay for. If you want to see true beauty of your trees, have them pruned correctly. It’s well worth the investment – it might be a little costly the first time, but you’ll only need small touch-ups every few years to follow. It’s good for the tree, it’s good for your property value and it is good for your spirit. A properly trimmed elm. Can only be trimmed from Oct. 1 – March 31 to be compliant with Dutch Elm Disease prevention bylaw. I can’t wait to see this American elm in spring when it leafs out.